While I had one more full day to spend in the Kyoto area, I opted to take a day trip to Hiroshima rather than stay in Kyoto. This is part two of that day trip. After getting on the train back from Miyajima to Hiroshima, I got back at Nishihiroshima, as it was just as close to the area of the city where I wanted to be as the main train station was. 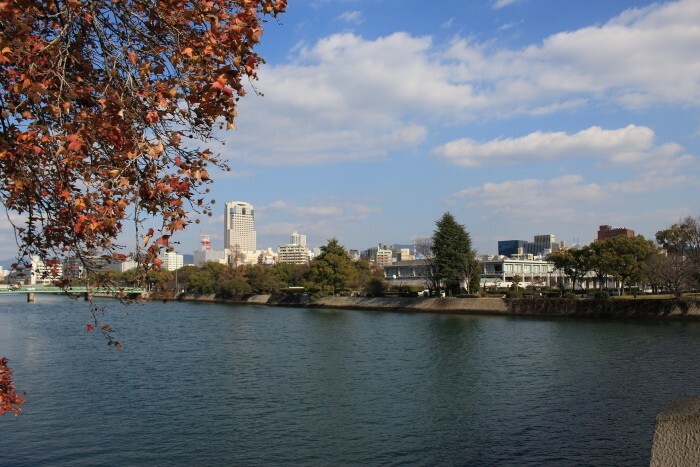 I headed east from the station, following Heiwa Odori (Peace Boulevard) across three branches of the Ota River, which splits through Hiroshima on its final journey to the Pacific Ocean. The Ota and its bridges are reminiscent of the Seine in Paris, though they are not being utilized in the same way. My destination was Heiwakinen Park, home of the Hiroshima Peace Memorial Monument. 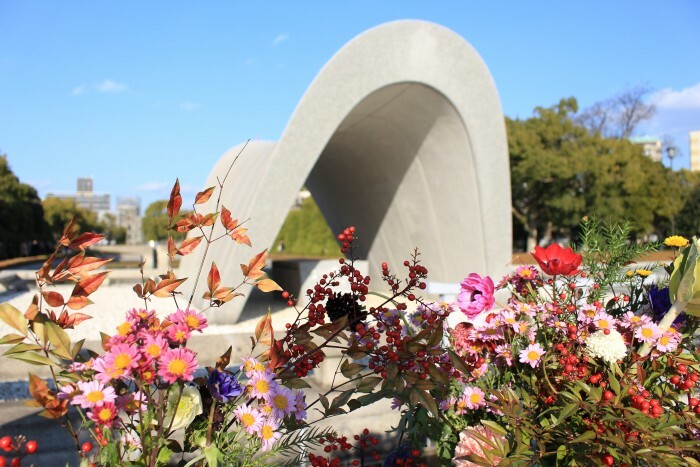 The park contains a museum that tells the story of the atomic bomb that destroyed the city on August 6, 1945, as well as several other monuments to those who perished. 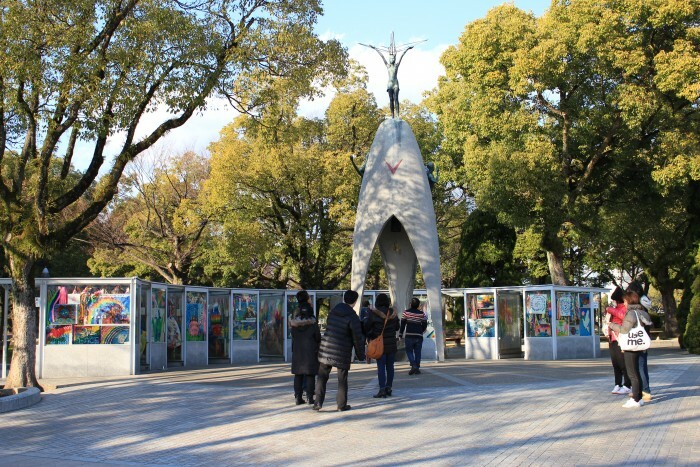 The park sits just across a branch of the Ota from where the bomb exploded, with the entire center of Hiroshima being destroyed in an instant. Few buildings survived, and almost none did in the area immediately near the blast. The sole example of this is the Atomic Bomb Dome, which somehow still stands to this day in the northern part of the Peace Memorial Park in only a semi-ruined state despite being nearly beneath the hypocenter. While I have traveled to places where modern construction has long dominated over historic sites, never have I been to a place where it is so drastic, and understandably so. Everything has been built since 1945. 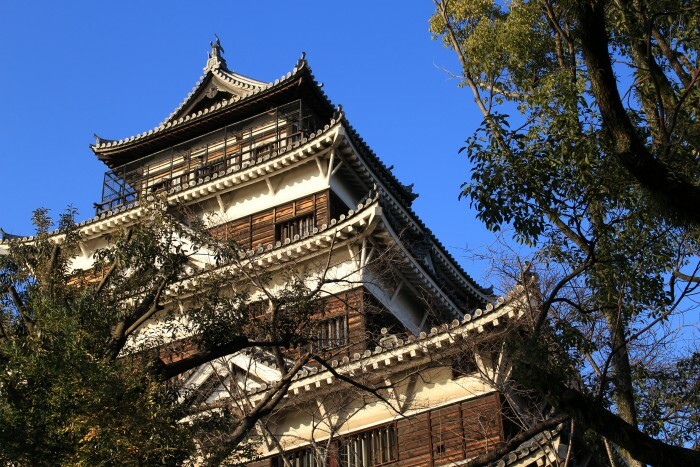 Even Hiroshima Castle, a short walk north of the Peace Memorial Park, is a complete reconstruction. 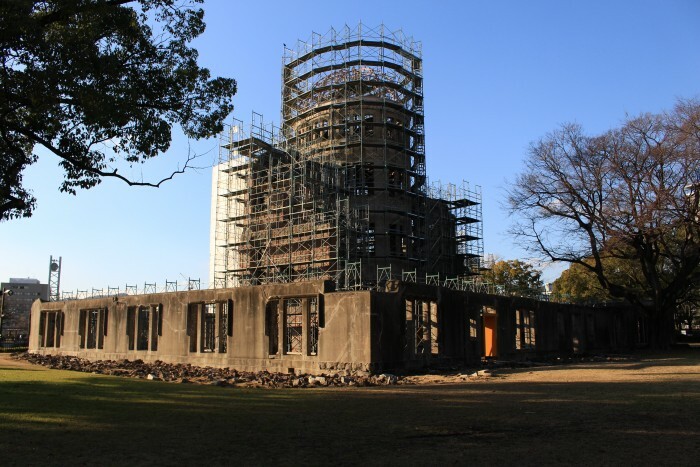 The A-Bomb Dome AKA Genbaku Dome (formerly the Hiroshima Prefectural Industrial Promotion Hall) stands now in memory of those who were killed that day. It too is a UNESCO World Heritage Site because “not only is it a stark and powerful symbol of the most destructive force ever created by humankind; it also expresses the hope for world peace and the ultimate elimination of all nuclear weapons.” The scaffolding was up to measure the deterioration of the structure, which is done every few years. There are many other places to learn about the events of August 6, 1945, so I’ll stick mostly with my visit to the memorial and museum. The site is comprised of dozens of monuments, memorializing everyone from children who died that day to peace activists who have fought to ban nuclear weapons. Somehow, there are even still trees that survived the blast. 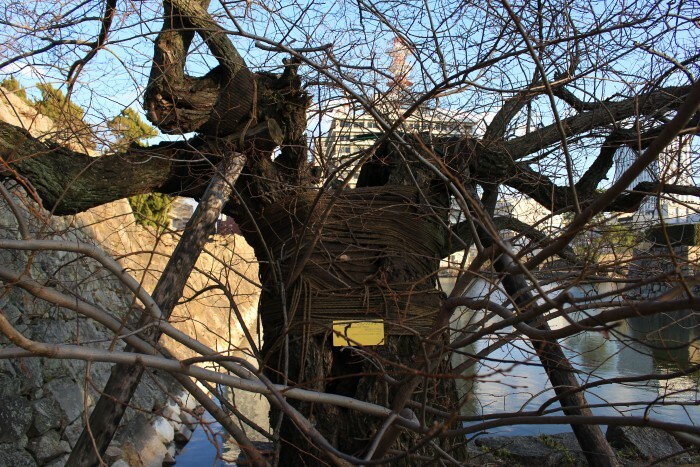 The tree below is at Hiroshima Castle, but there are other surviving trees scattered around the city. 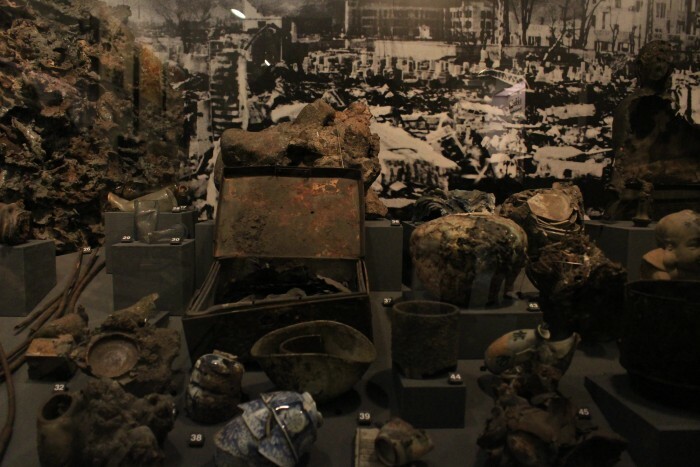 A few random artifacts survived the bombing. 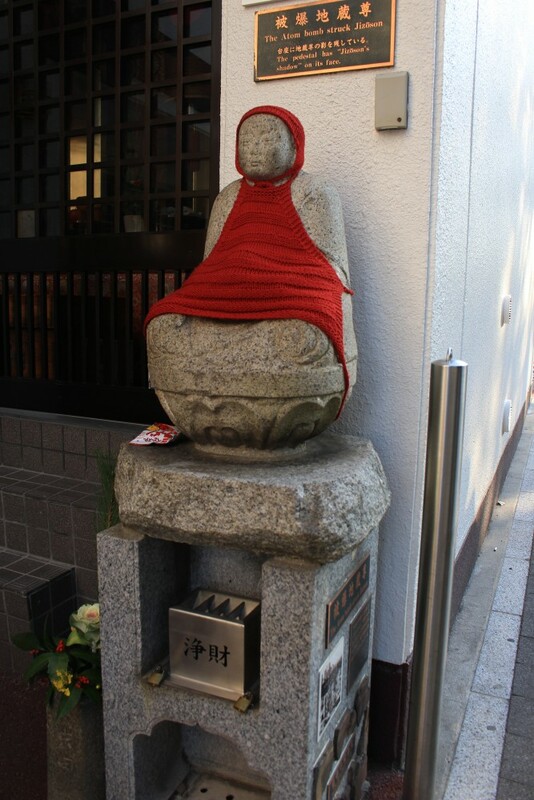 This statue from the Jizo temple was located almost directly below the blast. You can see a dark shadow around the base of the statue, a result of the radiation lightening the rest of the base that was not shielded. 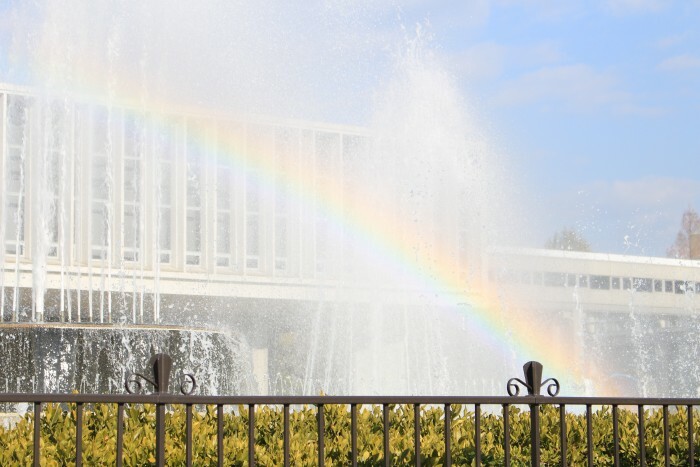 Below are a few of the memorials in the park, including the eternal flame, the cenotaph, and the Children’s Peace Monument. The museum itself is undergoing a large refurbishment and expansion program, so only half of it was open when I was there in January 2015. 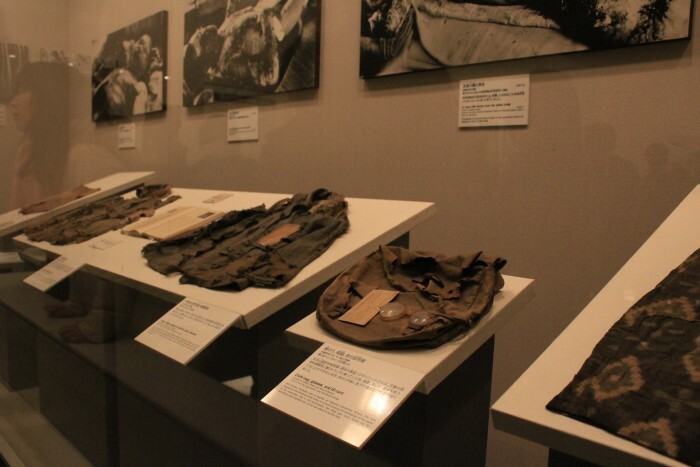 It has artifacts from that fateful day, along with photographs and stories about both the survivors and the deceased. The most moving part of the museum was the story of Sadako Sasaki, who was just two years old when her home was destroyed by the bomb. When she was 12, she was diagnosed with leukemia, a common illness for children who had been exposed to the radiation. 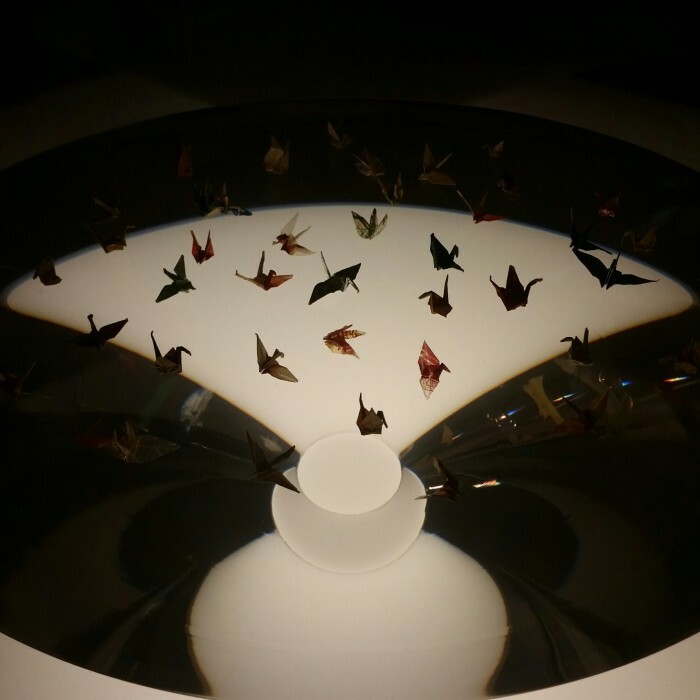 In the spirit of a thousand origami cranes, an ancient Japanese legend that promises that anyone who folds a thousand origami cranes will be granted a wish by a crane, Sadako began folding paper. She folded her cranes, which were met by even more cranes folded by friends, family, and people from around Japan. Sadako Sasaki passed away on October 25, 1955. She is the girl with the crane on top of the Children’s Peace Monument. 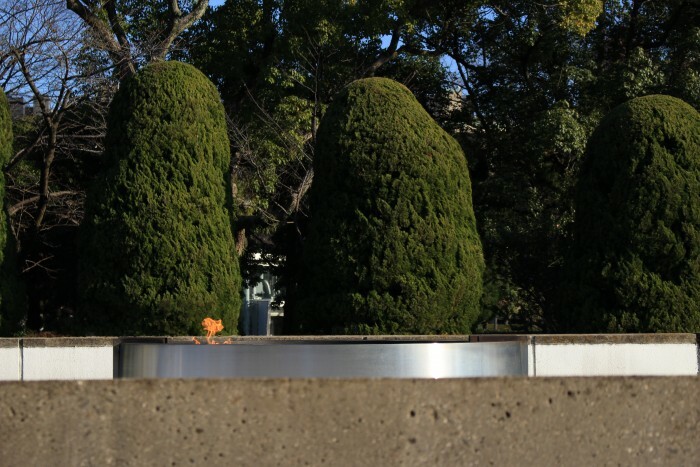 Sadako’s memory lives on to this day as a symbol of peace & the dangers of nuclear war. I’ll leave aside the debate whether or not the atomic bomb should have been dropped on a civilian population such as Hiroshima (but the linked articles are worth reading). It was done, and now as a society we must deal with the effects and work to make sure that it never happens again. 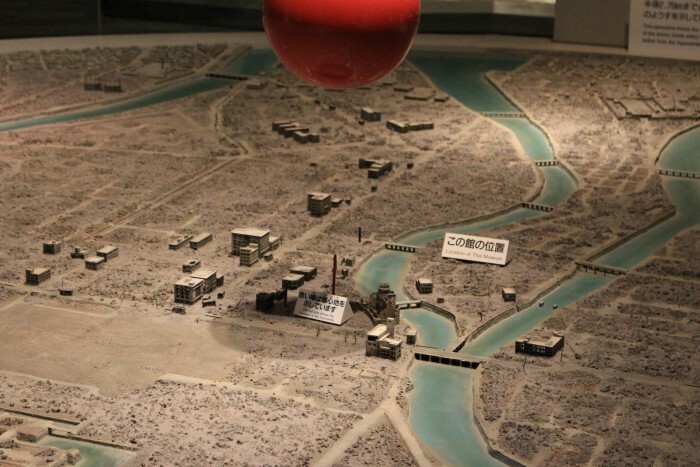 Visiting Hiroshima is powerful. I highly recommend making at least a day trip to Hiroshima if you have time while you are in Japan. With visitors from all over the world, one can only hope that everyone returns home with the thought that we must do better as a planet if we are to live together in peace.